Cuff and Gough's Christmas Fundraising! 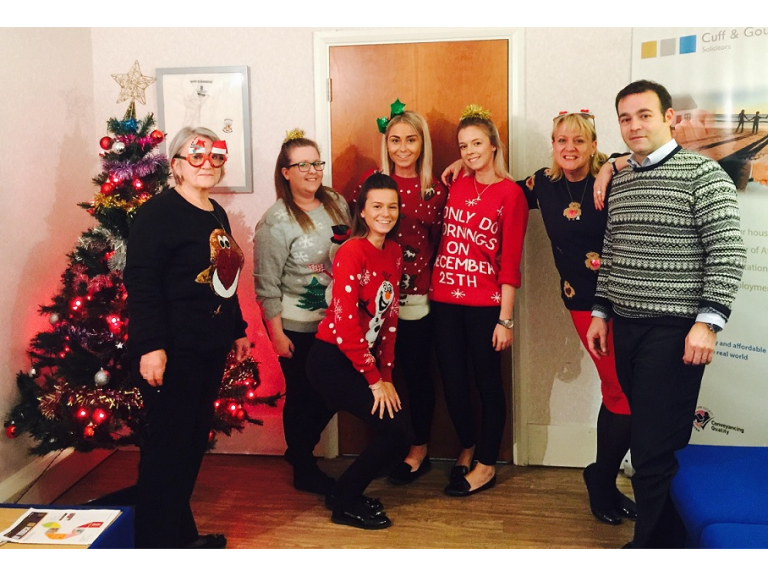 Local Solicitors practice, Cuff and Gough in Banstead, took part in Text Santa's Christmas Jumper Day on the 18th December to raise money for Save the Children, Macmillan Cancer Support and Make-A-Wish! Christmas Jumper Day encourages people to make the world better with a sweater and raise funds for three incredibly deserving charities by wearing a Christmas jumper and making a minimum donation of £1. 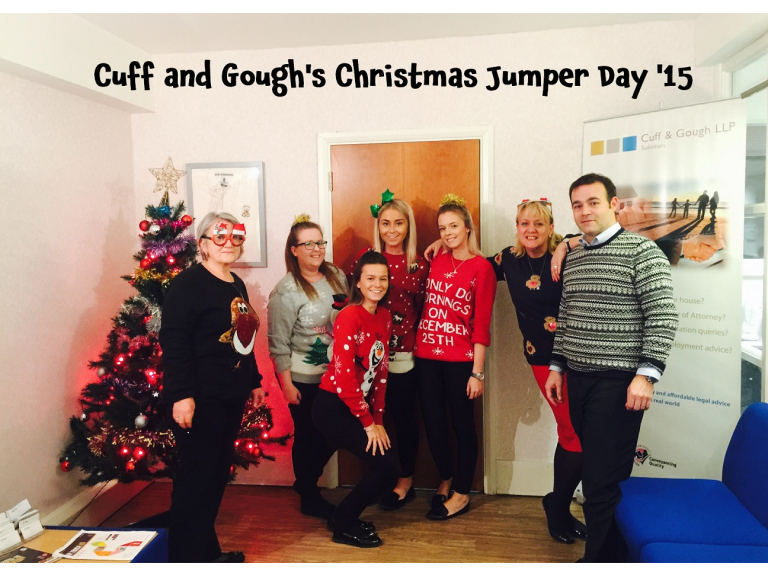 The team at Cuff and Gough wore their Christmas jumpers to the office with pride and managed to raise a brilliant £118.00!